Pvt. James D. Byrn, son of Mr. and Mrs. Roy W. Byrn, graduated from Frederick High School; husband of the former Pauline Woolery. 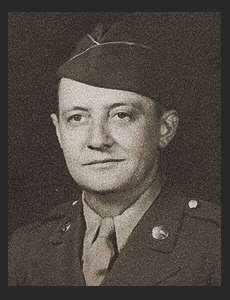 Entered the Army in Feb. 1944, trained in Ft. Knox, Ky.; served in Ireland, England, France, Belgium, Luxembourg, and Germany, where he was killed in action March 1945. Awarded the Purple Heart, ETO Ribbon with four Battle Stars.